sprynkles, MohandasKGanja, OrangeSlice and 11 others like this. I loved the conspiracy too. 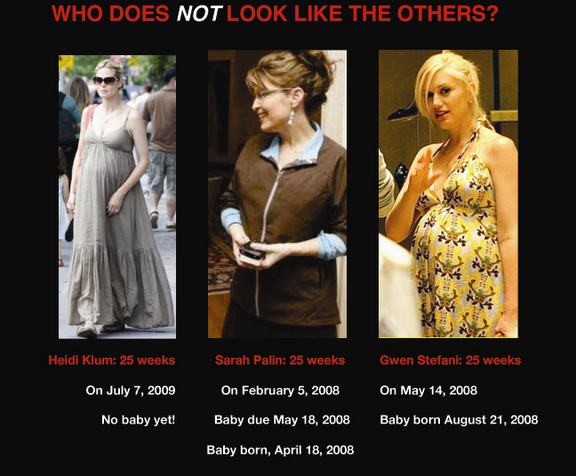 I'm not sure that Sarah Palin conclusively being the one to give birth to Trig makes her look any better. It's not advised to fly during the last months of pregnancy. Some airlines won't even board a woman in the late stages of a pregnancy. So what did she do? Fly from Alaska to Texas during her eighth month, when she had two additional risk factors (her age and Trig's already diagnosed Down's Syndrome). Then, after she woke up in a Texas hotel room at 4:00am, cramping and leaking amniotic fluid, instead of going to a hospital, she gave her scheduled speech, then got back on a plane to Alaska. That's seriously poor judgment at the very least. Trying to pass off her daughter's kid as her own is shifty. Racking up frequent flier miles to give a speech while in labor shows her real priorities. some airlines don't have restrictions (including alaska airlines). others have restrictions for the last month. i HATE that i'm writing something that could be construed as defending this waste of oxygen. Yeah, I know. The airline part was an aside to emphasize that it's generally considered a bad idea to risk popping a baby out at 30,000 feet. I have PTSD, and it is usually set off by things that can be traced back to the cause. Join the club, but your symptoms are singular, where as the post was by a professional including may sufferers. Also she did not say that they could not be traced back to the original even but that many factors can trigger a reaction. I have treated patients with PTSD for more than 25 years, even before the term was used as widely as it is now. I am personal friends Robert Lifton, who was the catalyst for PTSD being included in the DSMMD. I sobbed like a baby as we buried his wife BJ, who brought much needed attention to the adoption reform movement through her writing and work on traumatic disorder in children. For you it may be triggered by connections to the cause, but this is not a one size fits all disorder, and assuming that it is harms other victims. twitchy2.0, Nevan, weathered1 and 2 others like this. 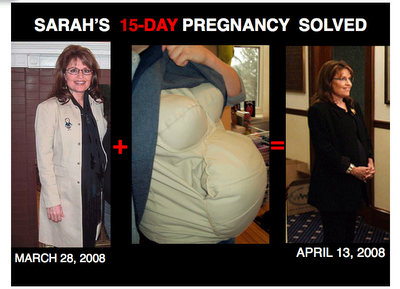 So ummm if I understand the proof of Sarah's pregnancy, the sitting Governor of the Great State of Alaska lifted her shirt and showed an AP reporter her gut before she had announced her pregnancy? 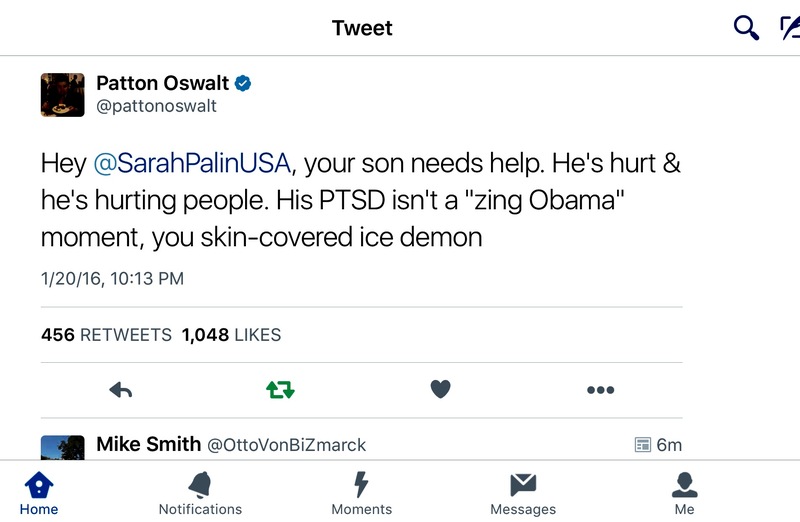 When she hadn't even told her children? Sorry Mo, that article was bunk. 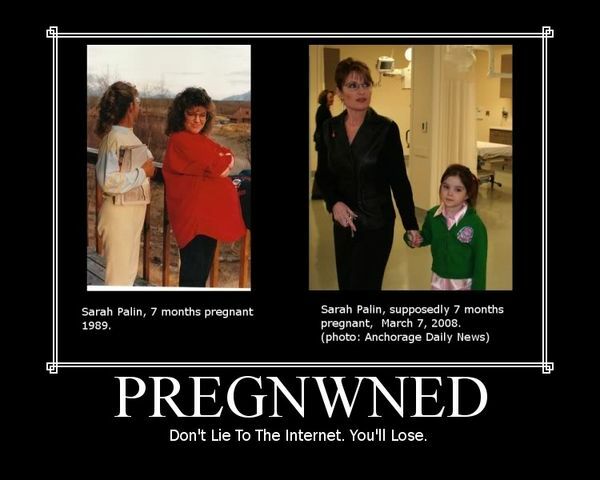 Her Doctor never confirmed that she delivered Trig from Sarah's vag. Sarah's own story said that she was leaking amniotic fluid during her speech, flight from Texas to Alaska and 2 hour drive to a community hospital not rated or equipped to handle a high risk birth. I don't know who gave birth to Trig, but it was not Sarah. greysfang and Serendipity like this. sprynkles, Novice, greysfang and 1 others like this. Never heard about the abortion. Which is fine. But to white it out? WTH? Really?